How much does it cost to fit a new kitchen? Kitchen installation is a difficult and tricky task that should always be left to the hands of professional fitters – but how much does kitchen installation cost and what is the average cost of kitchen installation in the UK? Kitchens are comprised mainly of units or cupboards. Several kitchen units parts are immediately visible while others are concealed. The “carcass” is the part of the kitchen that you do not see when the door is shut. Furthermore, if you open the door you will also notice the sides, shelves, back and base panels. On the other hand, the door or drawer fronts of a kitchen are the parts of the kitchen that you always see . Depending on your needs you can find either entire kitchen units, that are ready to be fitted or alternatively you can choose to buy the various kitchen unit components and assemble it yourself. A kitchen is an essential part of every house and a well fitted kitchen is every homemaker’s dream. However, when purchasing a new house, it becomes important to know the kitchen installation cost for the different types of kitchens available in the market. Having this information at hand can help i) Know what questions to expect from the fitter ii) get an estimate of the price you can expect to pay iii) get an estimate of the time the job is expected to take. To have a medium range kitchen unit fully fitted expect to pay on average £3,500. In the installation are included any electrical and plumbing work required plus budget Best Buy new appliances such as washing machine, a built-in oven, a hob, a cooker hood, a dishwasher and a fridge freezer. For a bespoke fitted kitchen the cost comes to £10,000+ (including labour). Along with understanding the advantages a newly fitted kitchen offers, it is also good to know the cost of a new kitchen. The average cost for medium sized kitchen ranges from £1,500 to £3,000. However, there are also several very expensive kitchen units that can cost anywhere from £8,000 to £10,000. Cheaper kitchen units can be bought for approximately £350 each. The prces include only VAT and fitting but not the labour cost for any preparation work such as removing the old kitchen, plastering, removing wallpaper etc. Note: In general, units with soft close and handle-free doors and drawers cost more. The cost of a new kitchen also depends highly on the quality of doors and drawers that are to be fitted. While some base units come withdrawers, some others do not. By wisely selecting base units with drawers, you can entirely eliminate the need for additional drawers to be purchased. There are cheap wood finish doors available for kitchens that can be purchased for £10. The quality of such doors might not be very good and the outer finish of veneer can chip off easily. With a little extra money, better quality doors can be purchased that have a thick surface that remains looking new for long. Kitchen cabinets can vary in price hugely depending on the material you choose. Remember that your worktops and cabinets are going to be the showstopper of your kitchen. They need to be made of hard-wearing and resistant material to water, heat and also be able to withstand heavy usage. The most popular materials are laminate, wood, granite, quartz, marble, corian and stainless steel. Granite prices range from £200-£450 per m2 as compared to laminate which can cost as little as £50 per m2. Stainless-steel steel costs approximate £250 per m2, marble from 300 per m2 , quartz cost per square metre ranges from £450 to £900, as it is manmade material and timber can vary depending on the type of wood you use. It seems obvious, but in your planning stage make sure you have enough room for the appliances you want and prioritise them should you not have enough space. The installation of electrics and ‘Part P’ compliance updates may vary in price due to a high number of variables involved. Kitchen Installation cost may, therefore, range from £300 to £1,000. Re-wiring alone can cost anywhere between £150 and £1,000 based on the number of changes needed. If you want to rewire your circuits to protect them from the trip change or RCD (residual current device), the cost will be higher. If you are looking for electrical and plumbing work to be done along with fitting the new kitchen, it can cost an average labour charge of £3,400. Several kitchen set sellers offer free installation. But most likely, a labour charge that can range from £600 – £1,000 pounds will be applied for the installation of the new kitchen. Depending on the size of the kitchen and the work to be done, the average cost of a new kitchen differs. The following table will help you estimate the cost of your project. All prices include VAT. Planning a new kitchen requires proper budget establishment – whether enlarging to add a new kitchen or modernizing the existing one – before deciding on your new space look. This will help you come to a favorable conclusion than leaving you with options out of your price range. It’s of great importance to know that wanting the best value for your money doesn’t mean you choose from cheap alternatives that you’ll later will unpleased with. This signifies making sure every penny of your budget goes towards a kitchen that pleases you. When trying to keep your kitchen costs down, the first rule is to do proper research as you can save a significant amount of money on appliances, cupboards and worktops. More straight-forward products tend to be cheaper, so for a range of good quality units for an average kitchen expect to pay around £3,000 – £5,000. You can also save money when choosing worktop materials. So instead of wooden worktops you can go for laminate ones as they are cheaper and also available in many different styles and colours. Laminate worktops can cost £1000 – £1,500 less, saving you a significant amount of money. Mable and granite countertops are an even more expensive option, so you could be saving on average around £2,000. Shop around carefully for appliances are they are the most expensive outlay for a new kitchen. Think carefully what you need them for and then decide about the style and brand. Estimate to pay around £2,000 for a full complement of appliances. If you do proper research you can make huge savings. Despite the old kitchen going in a skip, in order to keep costs to a minimum, usable materials can still be found in it. Some of these usable materials can be reused and reworked with other newly purchased material to make a more pleasant kitchen, hereby, saving cost. The fact that your old kitchen is no longer up to your taste doesn’t mean it is scrap. You can reduce the waste by selling unused existing materials such as floorboards, doors, radiators and units. If fitting out your whole kitchen with bespoke units will be difficult, consider commissioning just a central feature, and make up the rest of the kitchen using standard, basic-quality units. Replicating and reutilization of existing space can fathom many of the frustrations you’ve been having with your kitchen. This eradicates pressure off the new kitchen in terms of kitchen storage and usability, reducing costs and bringing disruption to minimal. Value engineering can help reduce cost by linking the old and new spaces if there’s no need to extend your new kitchen, so they can flow seamlessly. If you wish to extend your kitchen, there might be liberty to beautify your new kitchen look, hereby, opting for an End-of-Link kitchen. This is achieved by adding or removing a few units to suit your space, but keep the plumbing and appliances in the same position to reduce costs. Only if it’s of a great importance to radically alter the orientation or usability of a kitchen, ensure to keep the sink, dishwasher and cooker in the initial position if costly. The expenses of kitchen units, worktops, doors, taps, sinks and cooker hoods widely varies and if you can wait for sales and invest more time researching prices, you can save £1,000s on the total cost. The kitchen Installation itself can be a major contributor to cost. This cost can be minimize by installing the units and others yourself which any average skilled DIYer should be able to manage. Seeking for the right companies and tradespeople to work with could save you thousands, with even the exact kitchen varying in cost from various builders. A newly fitted kitchen is a great way to improve your current living space without all the hassle of moving to another property. Not only there are many different kitchen designs these days tailored made to suit you, but some cheaper alternatives even have parts that come pre-packed and pre-assembled – so the installation takes hardy any time at all! There are truly a wide range of styles and features for you to choose from – metallic fittings and dark tiles look great if you like sleek, modern designs, while wooden sideboards and worktops and old curtains and light-fittings offer a rustic look redolent of an old-English country house – but still retaining all the modern electric appliances you need to cook easily for you and your family! 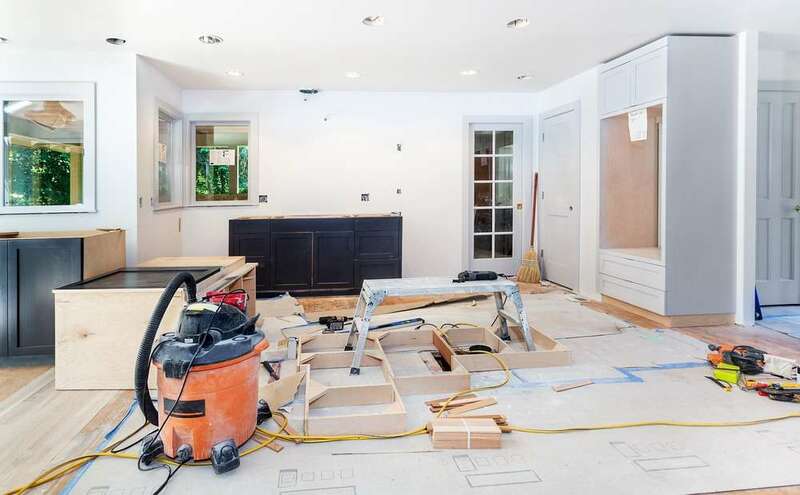 Before hiring a kitchen specialist or building contractor to start overhauling and refurbishing your existing kitchen, there are several things you need to think about carefully, as only by planning ahead will you be able to have your dream kitchen. Look at how much space you have to work with, and decide whereabout you want the worktops, units and various appliances that make up your ideal kitchen area. If you plan on moving large appliances such as the oven, dishwasher or washing machine – or if you want to re-position the sink basin – then you might need to hire a plumber to re-assemble your taps as part of the layout re-design. Similarly, if you want new lighting fittings and sockets and electrical outlets relocated you’re going to have to hire an electrician to get it all done safely. If are you going for cosy cottage/traditional farmhouse, or would your prefer a glossy finish with all the techno mod-cons that you can get these days? Looking through magazines or discovering new kitchen design websites can help you envision the ideal look for your kitchen, which will help you in planning nearly all of the following steps. Worktops are the main focal point of the kitchen and should be designed to function for heavy-duty cooking. Granite and marble effect worktops look particularly sleek and expensive, but if you want something less overbearing you might want to opt for varnished wood or plastic instead – the latter of which comes in a range of colours and designs. Do you want a smooth vinyl or laminate floor finish to your kitchen, or would you prefer clean, cold tiles? Again, there are almost limitless colours and styles to pick from here, so flooring can be customised to suit almost any kitchen design. Do you want tiles to match the floor design, or would you prefer a simpler paint-job that doesn’t offend too much? Most matt and gloss paints are easy to wipe clean and so perfect for a kitchen environment, but be carefully about using wallpaper, as the excess grease and water vapour in the air will cause it to peel quite easily. Instant hot water taps make for a great modern addition and save you time when cooking – but they’re not particularly environmentally friendly. Think about space-saving cupboards and drawers too, which fold back in on themselves, so you can store even more food or utensils. Plus you can custom-design your kitchen to include hooks, additional extractor fans, electrical outlets, halogen lighting or even a built-in television set – whatever suits its purpose in your home! Remove your old kitchen units and worktops and provide the necessary waste clearance and/or removal. 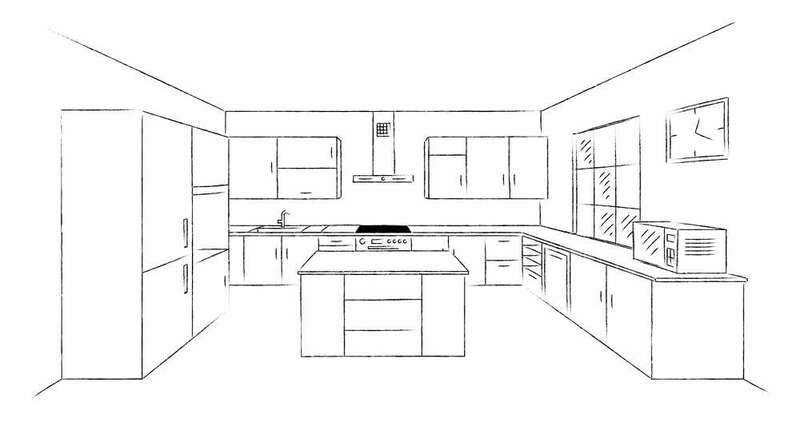 Install, fit and assemble all worktops, units, cupboards and drawers according to the blueprints and specification. Screw and bolt down any new drawers, cupboards or fixtures and fittings that are independent of the main units, making sure they are securely and safely fitted for future use. Work with a plumber or water technician to ensure your new sink basin and taps are fully connected to the combi-boiler and/or main water supply and check that none of the taps or u-bends are leaking, or showing other signs of wear and damage. Work with a fully-qualified electrician to help safely fit all new lights, appliances (including a fan-assisted oven, washing machine, dishwasher and/or fridge-freezer) and electrical outlets exactly where you want them, and make sure you are hooked up to the homes usual electricity supply. Lay any new wall tiles and/or flooring that forms part of your kitchen refurbishment. Offer further advice about the interior design and/or decoration of your kitchen on completing the installation, perhaps even getting you in touch with some professionals in your local area. Offer a fully-insured guarantee of anything between five to twenty-five years, which includes any follow-up maintenance and/or repairs if thing should start to suddenly fall apart! What is the size of your kitchen? The size of the kitchen is generally defined as small, medium and large. This in turn is dependent on the number of units to be fitted. How many units do you need to fit? The kitchen installation cost is highly dependent on the size of the kitchen. Generally speaking, installing 6 double units is considered as a small kitchen installation. Four of these are base units and two are wall units. 8 double unit installation is considered as medium installation and 12 double unit installation is considered as a large kitchen fitting. Is any tiling work required in the kitchen? It is necessary to know if you planning to tile any of your kitchen walls or if you will hire another contractor to do this kind of work. Question to ask the kitchen fitter? How many days does kitchen tiling take on average? Assuming that the walls are ready to be tiled, tiling can take up to 3 days. How much does it cost to replace kitchen cupboard doors? Ask the kitchen fitter how many days it will take for the work to complete based on his experience and if there is anything you can do to help. How much will it cost to retile the kitchen? Ask how much will it cost if the kitchen fitter does the work to compare with other quotes you have received so far. What is the average cost of a fitted kitchen? Here try to get an exact estimate for the whole project. Ask the kitchen fitter to provide you with a detailed breakdown of the cost of i) kitchen fitting ii) materials iii) and tiling work. How much do kitchen installation units take? Usually the time required can range from 2 to 6 days depending on the number of units to be fitted. How much time does the replacement of kitchen cupboard doors and worktop can take? Both cupboard doors and worktops can be replaced in a day or two. What is the cost of a new kitchen 2019? Kitchens How much does it cost to fit a new kitchen?